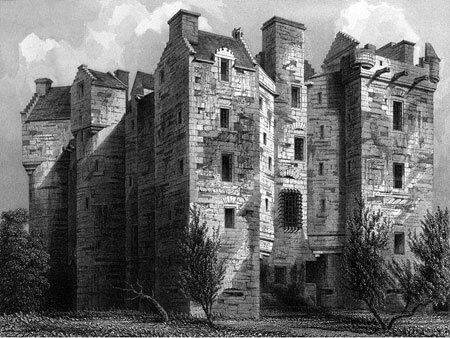 Clan Wemyss, their Castle and information. Clan Name: Wemyss - various spellings - Elcho, Vemis, Vemys, Vemyss, Veymis, Weemes, Weems, Weemyss . Clan Wemyss are a lowland Scottish Clan evolved from the MacDuff clan. The MacDuff's are an ancient royal line and in 1160 Duncan MacDuff was made the hereditary Earl of Fife by King David I. He gave lands to his two sons, one being the land at Wemyss. 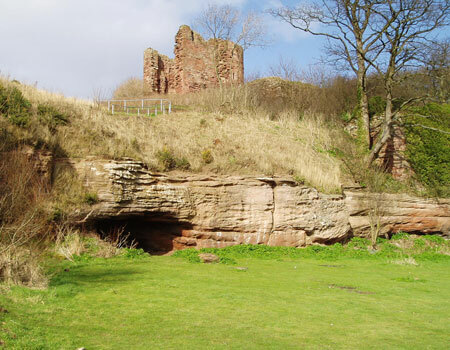 The Wemyss family are mostly linked to three castles within Scotland. The first is Macduff Castle, then Wemyss Castle which is the principle seat of the Chief of the clan, and the third is Elcho Castle. All are rich in history and have been in the family and the Clan for hundreds of years. Macduff Castle is located in Macduff at East Wemyss in Fife and was originally built by the MacDuff Thanes of Fife in 11th century and although it stayed in the same family the family name evolved to Wemyss in the 14th century. Sir Michael Wemyss entertained King Edward 1st of England there in 1304 but later threw his hand in with Robert the Bruce which caused the English King to order the castles destruction in a fit of rage. When the family moved to Wemyss castle, Macduff castle was taken over by the Livingstones, it changed hands again but was bought back into Wemyss hands in 1637. My gran lived in Macduff and many was the time I spent exploring the castle and caves as a child and my mother before me. The castle is a neglected ruin, shame to say and about 20 years ago the army was called in to pull down one of the two remaining towers for safety reasons. Wemyss Castle is located by West Wemyss in Fife and was built in 1421 by Sir John Wemyss. The castle is the main family seat and was the administration centre for the Wemyss estates which were quite comprehensive. In the 19th and early 20th century they even had their own railway. A lot of income was from their coal mines and they built a railway from West Wemyss to Methil docks where they had built a deep water port for coal export. One of the towers built at Wemyss castle is particularly rich in history and has had many uses. At one point being restructured as a windmill and again, much later on, was restructured as a dovecote. It was at the newly enlarged Wemyss Castle that Mary Queen of Scots first met her future husband, Henry, Lord Darnley in 1565. During the Jacobite Uprising in 1745, the fourth Earl’s eldest son, David Wemyss, Lord Elcho, joined Prince Charles Edward Stewart in Edinburgh. He was appointed colonel of a troop of Royal Horse Guards, he accompanied the Prince down through England, and was with him until his defeat at Culloden. 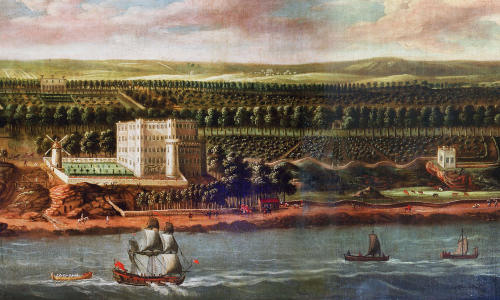 Lord Elcho managed to escape to France, and took part in the State entry of Prince Charles into Paris the following year. He was convicted of treason in absentia, and his estates were forfeited to the Crown. He continued to live in France, and died childless in 1787 in Paris. As a result of the clans actions the Wemyss name was proscribed (illegal to be used) his second son Francis took over the line but had to change his name, he took his new name from his gran's side being Charteris. The castle itself has been rebuilt and renovated a few times during its history and although the family now has large farming interests in England and owns comprehensive lands in the Lothians it is still the principle seat of the Chief of Clan Wemyss. 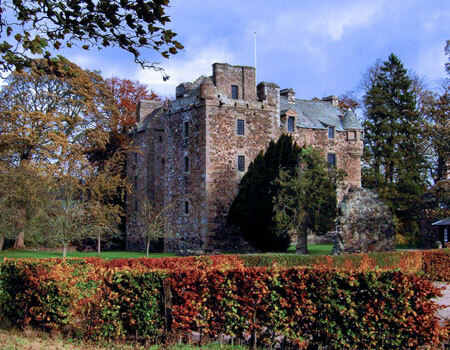 Elcho Castle is the second castle that has belonged to the family and it is situated about four miles from Perth. The castle as it is seen today was built over a previous structure around 1560 and has managed to stand the test of time rather well. Although some parts of the walls, roof and floors have fallen through, a lot of the original castle remains intact. 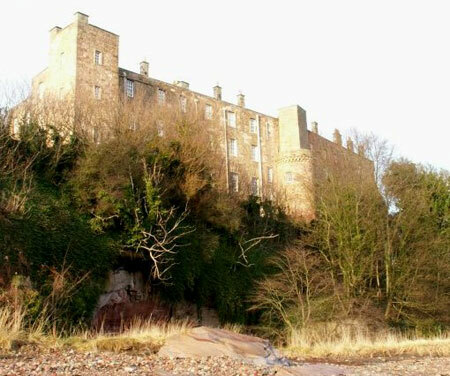 The Wemyss family had chosen not to live in the castle and it remained in this state for almost two hundred years. Today Elcho castle is owned, managed and maintained by Historic Scotland and it can be viewed during the summer months when it is open to the public. Most of the castle can be seen and although some of the castle has fallen into disrepair as mentioned above, there are still walkways by which you can explore the castle and the surrounding site. The Earl of Wemyss and March which carries some further information. The "new" Lord Neidpath or Lord Wemyss is head of the Charteris family.